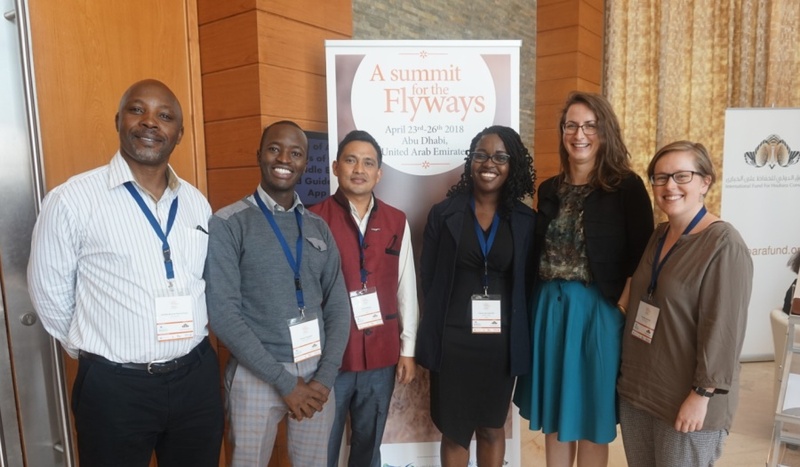 In April, BirdLife International convened the Global Summit for the Flyways in Abu Dhabi. The Summit brought together conversation organisations, scientists, policy makers and donors, to discuss the challenges faced by migratory birds. Among the 200 participants, representing 100 organisations and 70 countries, several CLP alumni hid in plain sight – grantees funded as far back as 1988 and as recently as 2017. Charlotte Klinting, CLP and BirdLife International Programme Officer, checked in with two recently supported CLP alumni to get their impressions of the Summit: Chaona Phiri (funded by the British Birdfair) and Vincent Onyango (intern at the BirdLife Africa Secretariat, funded by Fondation Segré). Chaona from BirdWatch Zambia delivered a presentation and had an active voice throughout the Summit about critical work to conserve African vultures. Vincent focussed on informing Summit participants about an online platform for the Friends of Landbirds Action Plan (FLAP) under the Convention for Migratory Species. What insights has the Summit given you into the different ways to approach the conservation problems that you are facing? Chaona: Listening to examples from Ghana, I learnt about how infrastructure developers – for example those positioning power lines – can be engaged at an earlier stage and BirdLife partners can help them adhere to biodiversity safeguards rather than always being on the reactive end of the discussion. Which speaker/event impressed you most, and why? Vincent: Chaona Phiri talking about the Vulture Safe Zone concept! It was easy to understand her presentation. She was very articulate. What are the most valuable lessons that you will be taking home from the Summit? Chaona: We are all in this together and our efforts, though small, are making the situation better – we are doing better than we think. Vincent: It is important to come together, to combine our efforts for conservation work. People from different regions experience different challenges in conservation. Coming together would help find solutions to these problems. Will your experiences at the Summit change your own approach to conservation? Chaona: Not necessarily change, but it will definitely enhance it. What you were expecting from the summit, and what if anything has surprised you? Vincent: Being able to network and learn about capacity development were my main expectations. The capacity development session was as interesting as it was engaging. I have also learnt a lot about Flyways, the different bird species and the energy sector. Have you met anyone else from CLP at the Summit? Chaona: Yes, I met staff, alumni and judges; they were all so interested in the progress on my project. I also had to spend some time reassuring people that I am still on track with my project although I am doing a lot of work on other species as well. 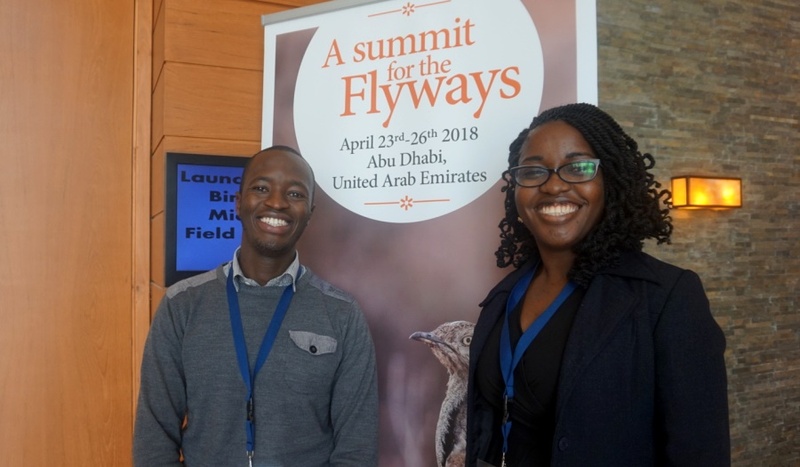 To learn about the Global Flyways Summit outcomes and to read the Summit declaration visit BirdLife International’s website.